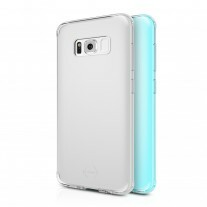 ITSKINS unveiled its range of Samsung Galaxy S8 and Galaxy S8+ cases and bumpers. 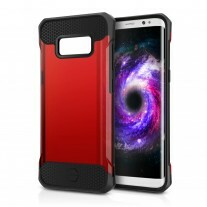 The Zero Gel ($25 for a two pack) adds the least amount of bulk, but also the least protection - the slim, transparent case is rated for only 1m falls. Spectrum ($20 for one) is where things get more serious - it’s translucent too, but has thicker air pockets that can absorb the shock from 2m falls. 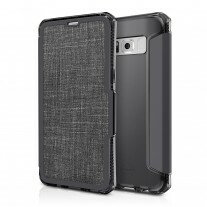 Spectra ($30) is a flip cover with various finishes, imitating carbon fiber or cloth. Spectra Vision (also $30) keeps the flip transparent so you can see the always on screen. Both are rated for 2m drops. Then there’s the Spina and the Octane (both are $30). The two go for a more rugged look and their armored shell is noticeably bulkier (though they remain at a 2m drop rating). 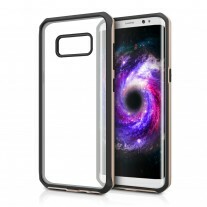 The Venum is a metallic bumper (2m drops, $30 price), which features a clear back for those that want to see the color of Galaxy S8 they chose. 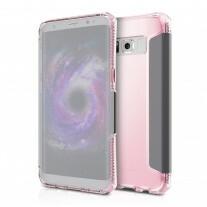 Curved 3D glass is available to guard the screen in case you don’t pick one of the flip cases. 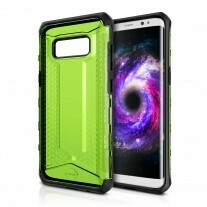 It's a shame to purchase such expensive phone and an extra expensive case, just go for a real phone like Nokia you wont need a case.